Jeff has been asking that we work Oreo's into the Weekly Wednesday Treat Day for a few weeks now and I made good on the promise that I would by making these Oreo Biscotti. Unlike many of the biscotti on our website that we've made in the past, this recipe has a bit of butter included. When you use only eggs as the liquid to bind the dry ingredients together, the resulting biscotti will be especially crispy and firm. However, if you introduce a fat like butter, as with these biscotti, it doesn't take away the crispness, but adds a tenderness that some prefer. While there are the customary ingredients - sugar, eggs, flour, baking powder and of course, the butter - these biscotti get a funky speckle to them by mixing in coarsely chopped Oreo's into the mix. 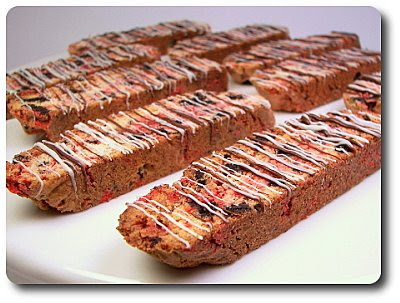 Why, pray tell, are there red streaks in our biscotti? Well, apparently the Oreo's we had in the pantry were stuffed with a red filling rather than white - makes for an interesting appearance if nothing else! 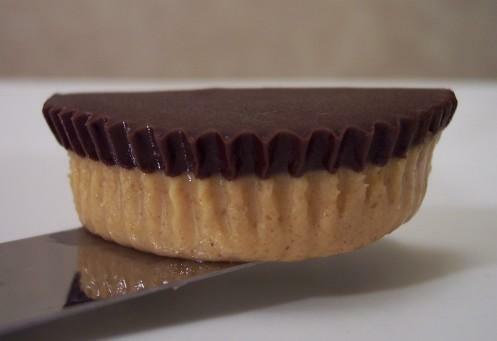 And no, there is no reason to scrape out that sweet filling before chopping the cookies - everything goes in here! You might find the dough a little on the sticky side when it has combined, but just scoop the mass onto a lightly floured surface and you should be good to go. You are not looking to add much flour to the dough, just enough to keep it off your fingers. After dividing the dough in half and shaping each into a loaf, we left them to bake until the tops were golden and firm to the touch. 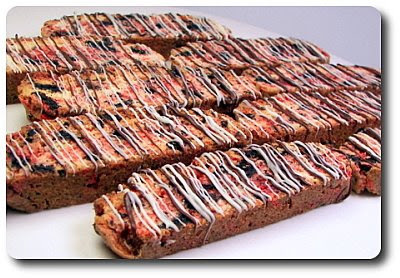 I don't like biscotti to cool completely before slicing them - I usually let them cool just long enough that I can comfortably handle the warm loaves. I find they crumble more if they do cool all the way - also, to aid in the prevention of any crumbling, I've been using the method of spritzing the tops of the baked loaves with water and letting it gently soften the crust for a few minutes before sliding my serrated knife through. Don't worry about this making them soggy - as soon as the slices go in for their second bake, any extra moisture will quickly evaporate and leave you with the crispness you crave. Also, don't forget - you do have a bit of leeway with the texture. If you want them to be a little more softer to the tooth, you can take them out about 10 or so minutes before the timer goes off during the second bake. Once the slices had a chance to cool down, we topped them off a duo of melted chocolate drizzles on top for a swanky finish. Now that I've made them and we both give them a big thumbs up, I have a feeling it is going to be a challenge to convince Jeff he has to take them in to share! 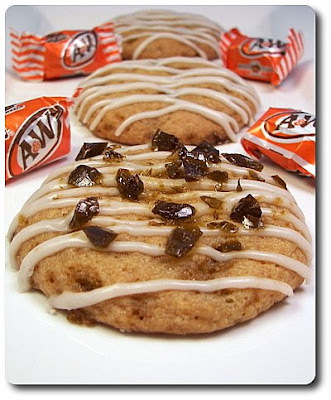 Okay... we've talked about the sweet treats we are sending in tomorrow, it is time to move over to the savory side! If you've been wanting to serve more than a couple omelets for dinner and don't have enough pans (or patience!) to either get them all done at the same time, this Rolled Omelet with Spinach and Cheddar I made for dinner tonight is a recipe you might want to try! To help ease the eggs out of the pan and give you a helper handle to roll them up, you'll want to spray or brush it well with oil and stick on a sheet of parchment paper. Once I had the pan prepped, I made the egg-y mixture by whisking together milk, flour, whole eggs, egg whites and Dijon mustard. Huh? What's with the flour in this so-called "omelet"? Well, using just a bit of flour will act as a structure builder - it will give the dish enough strength to hold the roll shape and resist falling apart. 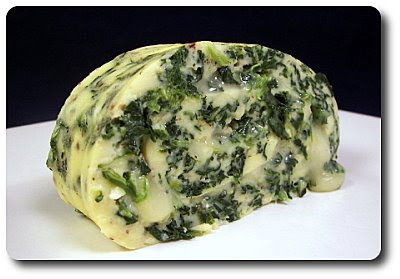 To add a little color and a truckload of nutrients, a couple packages of frozen chopped spinach that we thawed and squeezed all the excess liquid out was strewn all over the top of the egg mixture once we poured it into the parchment-lined pan. This will then go into the oven - bake it long enough until the edges are no longer wet looking (just set) and then take it out to give the top a generous shower of sharp white cheddar cheese. The eggs go back into the oven as the last blast of heat quickly finishes cooking them through and melts the cheese into a slick of gooeyiness (if that's even a word). As soon as you take the pan out, you'll be able to easily roll this slab of cooked eggs up since the parchment paper had a slight overhang to give you a piece to grip. Roll it somewhat tightly, but not too tight as you would a jelly-roll type cake as you don't want to squish all the cheese out. All of that melted cheese also acts as a good glue so the rolls don't unravel as you slice into the egg monster! Jeff gave me one of those famous uneasy eyebrow raises when I took a big scoop of mustard out of the jar to add in, but he was the first (funny how that goes...) to comment how its subtle tang was a nice counterpoint to the richness of the cheese and eggs. 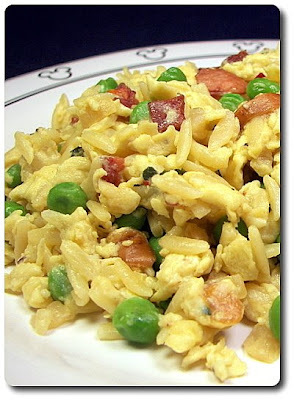 Great for a breakfast-for-dinner night, this could also be whipped up in a jiffy for a hearty meal in the morning too! Hmm... apparently I wasn't paying too much attention when I was planning the menu this week. 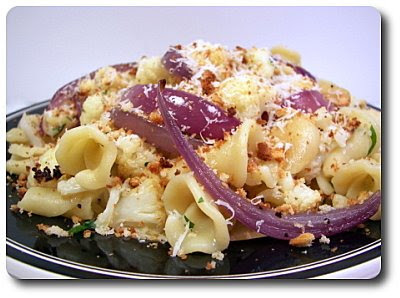 Even though we just had a pasta dish last night, I guess I must have been craving pasta as tonight I also had this Campanelle with Roasted Cauliflower, Parsley and Breadcrumbs recipe on tap for dinner. At least this didn't end up remotely close to yesterday's meal! Loaded with vegetables, I got right to work by breaking down a massive head of cauliflower, slicing a red onion into thin wedges and halving a few cloves of fresh garlic. Tossed with a couple tablespoons of oil, we scattered the vegetables out onto a large baking sheet and roasted them until the vegetables were tender and had taken on a golden hue. As we waited on the oven to work its magic, we placed sliced fresh bread into a food processor, added a drizzle of olive oil and pulsed the duo together until the bread turned into moist coarse crumbs. You could toast the crumbs in a skillet, but since the oven was already on and fiery hot, we distributed them onto a small baking sheet and set the pan in the oven to quickly crisp them up. Once you put them in though, don't go far as they can go from the perfect color to burned in a snap. We also took this time to bring a pot of salted water to a boil to cook the flower-shaped campanelle pasta. Before you drain the water way, don't forget that you'll need to set aside a half cup of the starchy liquid to help moisten the dish. Into the now-empty pot, the pasta is tossed back in, along with the roasted vegetables, a sprinkling of chopped parsley and fresh grated Parmesan cheese. Rather than adding in a sauce, one is created when you a pour over that warm liquid we set aside - once mixed in, it quickly melts the sharp cheese and coats the pasta with a thin dressing. Now, don't skimp on the roasting of the vegetables part - when the high heat hits those cauliflower florets, it brings out such a pleasant nuttiness that you would miss if you just steamed them. The heat also allows the cloves of garlic to mellow out, while the petals of the onion sweeten as they caramelize. Adding those crunchy toasted breadcrumbs on top finishes off this pasta dish with such a bang while the pasta rounds this meal out with hearty, stomach-warming feel. 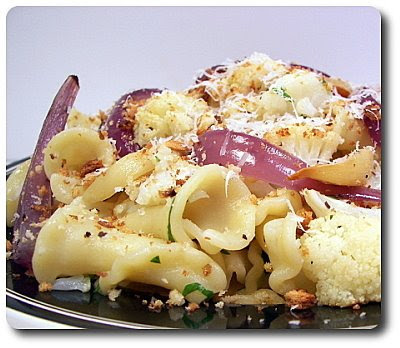 The exact pasta shape we used isn't a make or break here - if you don't have campanelle, use your favorite short pasta. We went through 7 new recipes this past week - looking back, our tops this time were those slow cookin' Chili Chicken Tacos, the spotted Black-and-White Cheesecake Squares and that snazzy Roasted Garlic-and-Spinach White Pizza. Need to use up a bunch of eggs and have no plans for dinner? Then you'll have to try out this Italian Egg and Pasta Scramble I made for our meal tonight! This is one of those speedy weeknight dishes that I'll have to repeat when I'm low on time or don't feel up to making a new recipe. After bringing a pot of salted water to a boil, we dropped in a smattering of rice-shaped orzo pasta. Be sure to check the bag for the cooking time as some take a short 5 minutes to cook, while other varieties need close to 8 to 10. The recipe called for a total of ten whole eggs, but in scrambled eggs or frittatas, I like to cut down the amount of yolks a tad by switching out some of the whole eggs with egg whites. I went for seven whole eggs and six egg whites - typically the ratio for this substitution is two egg whites for each whole egg. Seasoned with salt and fresh ground black pepper, the beaten eggs were perked up with diced bits of smoked mozzarella and sliced fresh basil. Before we went to scramble the eggs, we melted a pat of butter in a large skillet (haul out your biggest one!) and added chopped pieces of salty pancetta. Don't want to spend the dollars for pancetta and already have bacon on hand? You could use that instead, but just keep in mind that there already is a smokiness coming from the cheese and you don't want it to overwhelm the dish - saying that, I don't think I'd give a second thought to using bacon if I needed to! After giving the pieces enough time to crisp, we sprinkled in fresh chopped onion and let the two continue to cook until the onion was tender. Asparagus was suppose to go in at this point, but they didn't look so hot at the market this week... we decided to throw in a handful of green peas instead. I have another dish in mind for next week that uses asparagus, so I hope a good batch comes in by then! 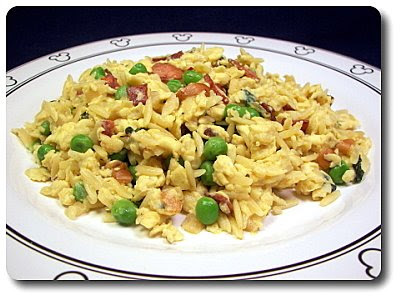 The drained orzo was then tossed in - don't fret if the pasta looks clumpy at first as the heat from the skillet will quickly allow them to separate. The beaten egg and cheese mixture is finally poured into the pan and in just a few short minutes the pasta swells slightly, the eggs begin to form soft curds and the cheese slowly melts in. Besides adding a pop of color, the peas broke through the curds and pasta with a delightful freshness (and I'd still love to try this with asparagus!). 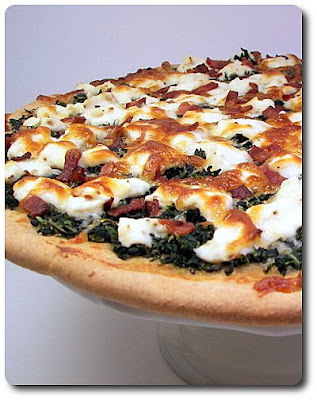 While there isn't even an ounce of cheese per serving, the full-bodied smokiness of the mozzarella flowed throughout the mix and when paired with the rich pancetta, you definitely don't go away hungry when your plate is clean. The basil was also a nice touch! While vanilla, chocolate or butterscotch puddings are fairly common, we thought it would be fun to infuse a sweet heat into the pudding I made for us to snack on this weekend. 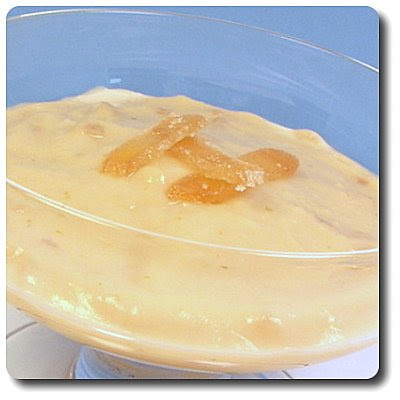 To prepare this Ginger Pudding this morning, I finely diced a few rounds of crystallized ginger and tossed the pieces into a pot that was filled with milk. We brought the milk up to a simmer (be sure to stir often!) and then took it off the heat to hang out, giving the ginger time to work and the milk time to cool down slightly. We need to impart some richness and power to thicken the pudding, so we whisked together a bit more milk with granulated sugar, potato starch (yes, cornstarch would be fine) and three golden egg yolks. You'll also want to add a pinch of salt - besides highlighting the flavor points, the salt also works to balance and calm the sugar so it doesn't come across as being too sweet. Instead of dumping this into the hot milk and risk curdling those delicate yolks, a portion of the ginger-infused mixture is instead slowly whisked into the milk and egg mixture. This way the yolks won't be shocked by the heat and ruin the pudding! Poured back into the same pot you already used, the loose base is placed back on the stove and brought to a boil - this will continue cooking the yolks and activate the starch, which will give you a luxurious and thick texture after it has had a chance to chill out in the refrigerator. Before that happens though, we sneaked in a bit more punch by adding a knob of butter, brilliant lemon zest and a splash of floral vanilla. Now, if you're a pudding skin fan, which I am definitely not, leave the cover off once you go to cool the pudding. If you're not a fan, lay a piece of plastic wrap right on the surface so a skin doesn't have a chance to form. We went out and ran some errands after I was finished, but we raced home as I was eagerly awaiting my chance to dig a spoon in. 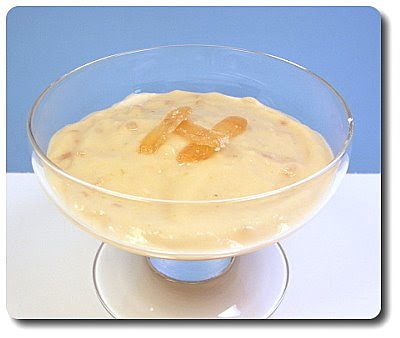 At first, I was a little thrown off by the soft pieces of ginger that studded the silky pudding, but I quickly grew to love the sweet bite they threw into the mix. The essence from the lemon zest brought an unexpected brightness that Jeff and I both agreed added to the attractiveness of this unique pudding. I'm sure you could push the pudding through a sieve if you wanted to maintain a smooth texture with just a hint of ginger, but now that I've tasted this, I'm glad we didn't go that route. 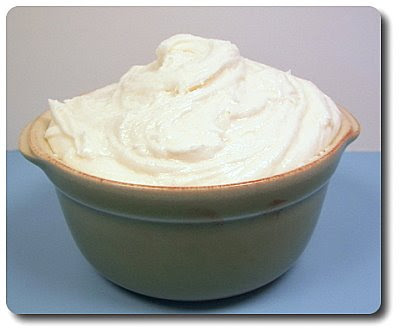 If you wanted to gussy up this pudding, a dollop of fresh whipped cream would be a wonderful way to go! It's time for another Friday Night Pizza! I hope we've inspired others to start their own pizza night. Plus, there are some great things about pizza - they are completely customizable, if you have little ones around they can help shape (or well, play with!) the dough and they don't take too much effort to make! Especially if you whip up a batch of our favorite snazzy whole-wheat pizza dough that comes together in no time using a food processor. 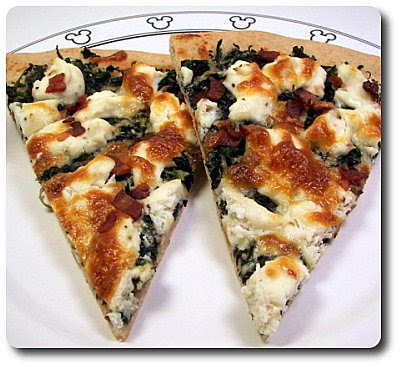 While the dough was hanging out in the warmth of the cabinet above the refrigerator, I kept myself busy preparing the other ingredients needed for this Roasted Garlic-and-Spinach White Pizza. I pulled apart a head of garlic so each clove was separated, but still left in its papery peel - while we would normally just slice off the top and roast the garlic whole, doing it this way shaved about 15 to 30 minutes off the baking time! Drizzled with oil and a bit of water, we wrapped the cloves up in a tidy ball of foil and slid them into the oven. Cooking the bacon was on tap next - we cut a couple slices into pieces and tossed them into a skillet to crisp, which means I had to deal with two pups sitting at my feet the entire time waiting for any little bits to fall to the floor! The smell of bacon sure seems to slow everyone in the house down, leaving the house nice and quiet for a few minutes. Once golden, I scooped the pieces out - in its place I added in thawed frozen spinach that I squished dry. You can use a kitchen towel to remove the excess liquid, but I like using our potato ricer... no towel to then clean and it makes use of a utensil that doesn't get much love! You are not really trying to cook the spinach, just warming it through and getting some seasonings on it. Don't forget about that garlic in the oven! When it was done roasting and had cooled down slightly, we squeezed the cloves out from their protective wrappers and mashed them into a paste with a touch more olive oil. By now the dough had risen and I started pressing and pulling it to make a fairly large circle - I used the twelve-ounce version for a thinner, crisp crust, but if you would like a bit more heft, try using the pound version. We smeared the top with the thick garlic paste, scattered the warm spinach on top and followed that up with dollops of ricotta cheese that we seasoned with salt, fresh ground black pepper and crushed red pepper. 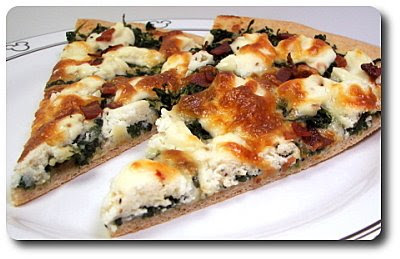 The crisped bacon and shreds of mozzarella were scattered on next before we slid the pizza onto the stone to bake. That garlic paste slathered on the crust underneath the toppings was a slick way to impart its sweet and mellow flavor without it becoming obtrusive. If you wanted a sharper flavor to perk up those cheese dollops, I think mixing in fresh grated Parmesan cheese into the ricotta would be the way to go. 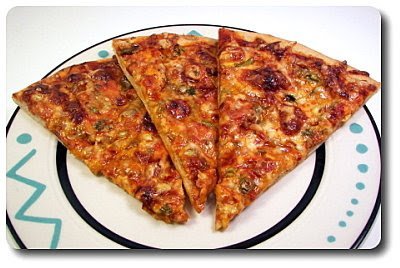 I also mentioned to Jeff that this would be one of those pizzas that could be a fantastic base to top with a few fried eggs to add a fancy element and dress it up. I guess I spoke to soon - while it was starting to warm up around here... apparently old man winter has no plans on letting go of his grip! With flurries floating around yesterday, the temperatures didn't even go much above freezing today. I was definitely in the mood for comfort food (oh! 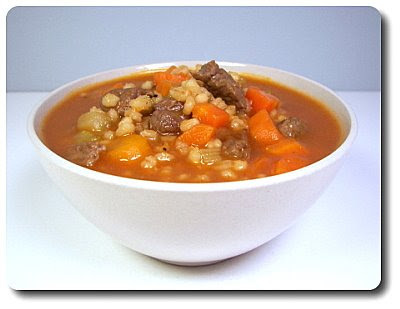 I'm on a roll with these rhymes...) and I'm glad I picked out this Barley and Beef Soup to make for dinner tonight. We took a good 'ol hunk of chuck steak, trimmed it and sliced it into cubes to use for the meat - if you'd rather not deal with that, you could pick up a pound of stew meat at the market and save yourself some time. The original recipe had you soften the onions and try to brown the beef at the same time, but that adds a lot of moisture to the pan and I find the beef doesn't get a chance to caramelize as well as it should that way. I'd rather add another step so you get the development of flavor and brown all the cubes of beef first, then soften the onions in the drippings left behind. To the beef and onions, we added chopped carrots and celery - once they were given a few minutes to mingle in the pot, we tossed in a generous amount of minced garlic cloves. Pearl barley, along with beef broth, water, tomato puree and a couple bay leaves are added into the mix and left uncovered until the liquids came up to a boil. The pot is covered at this point, the heat is turned down to a simmer and the soup bubbles away until the barely plumps up and the vegetables are tender. 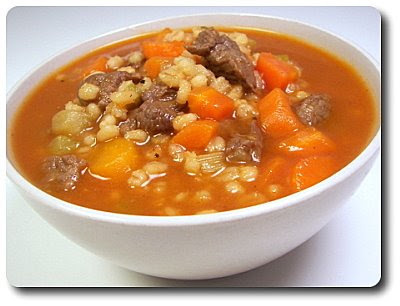 Paired with a hearty slice of crusty bread to dip in, the combination of nutty, chewy barley, the abundant variety of vegetables and the cubes of tender beef, this was a gratifying way to fill up our stomachs! It may not be much to look at, but what a way to warm up from the inside out and I'm betting it is one of those dishes that will be even better tomorrow as leftovers. If you've been wanting to try out lamb by chance, I also think this dish would be a great way to introduce it to you or your family since there is a plethora of other familiar ingredients used. 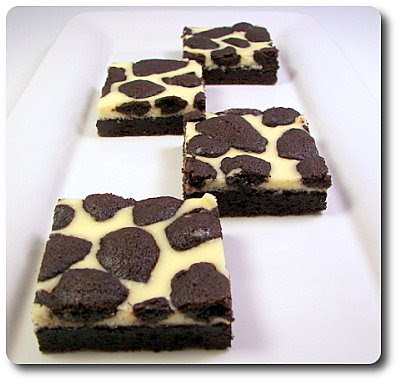 We combined a dark, brownie-like base and a cheesecake to form these Black-and-White Cheesecake Squares that I made for the Wednesday Treat Day that we do each week for Jeff's co-workers. Before we jump in, I'll suggest you try and keep an open mind... this is quite the fussy recipe, but you'll enjoy the results. That's not to mean this was at all difficult, but there are several steps and lengthy wait times! A dense chocolate base is prepared using an obscene amount of butter, coarse grains of granulated sugar, a couple eggs and your best sweet vanilla. Where's the chocolate? 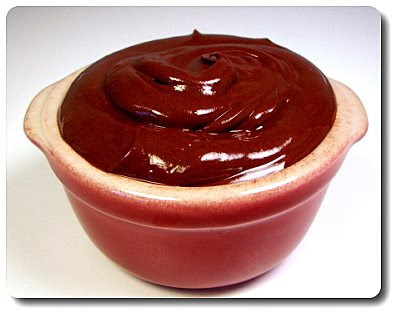 That comes in the form of smooth Dutch-process cocoa powder that is whisked together with the flour. Before spreading the dark, thick mixture into the baking pan, a cup is reserved and set in the refrigerator to hang out until a little later. 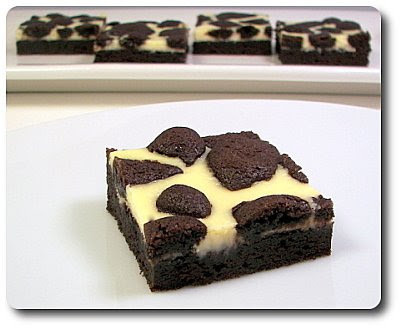 Once the chocolate base was pressed over the bottom of the baking pan, the recipe calls to be placed into the refrigerator to chill out for 30 minutes. The dough is on the stickier side and I'd suggest you lay a piece of plastic wrap on top when you go to press it in the pan - makes life easier and keeps your digits clean! When you hear the timer ding and the oven's heated, the base goes in and bakes until the center has set and the edges have puffed up. So... now what? Yeah, it also called for the base to lounge around on a wire rack to cool before continuing on - see where the fussiness comes in? Well, as it finally cooled down, I creamed together softened cream cheese, enough confectioners' sugar to add a pleasant sweetness, an egg to bind and a dribble of additional vanilla to bounce off the dark base. Not too thin or thick, the creamy topping is spread over the cooled base and is then topped off with crumbles from that reserved dough we had set aside from the beginning. No, we're not done yet... because now this has to go back into the oven and bake once more until the cheesecake topping has set. Whew! After all that time, you'll still have to wait a bit more as it needs to cool completely before you take your knife and cut yourself a well-deserved square! 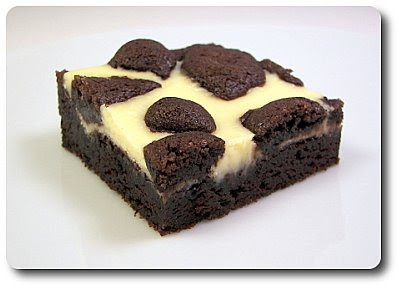 The decadent base is set off by the striking contrast between the layers - the cheesecake topping is smooth and creamy, while the bottom is rich, moist and chocolate-y. 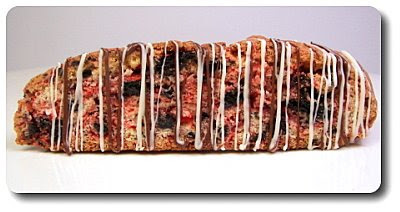 Yes, it might make for a crater in your caloric intake for the day, but after taking a bite from these swoon-worthy bars, who's to care? I was tempted to skip dinner and have a bar or two instead, but I did have to make sure there was enough left to share tomorrow! 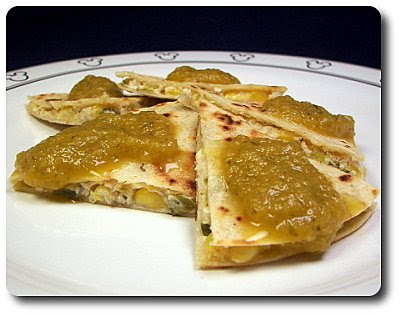 So, for dinner tonight, I dipped into the final remains of our corn supply we had in the freezer to make these Goat Cheese and Roasted Corn Quesadillas. To go in between the white corn tortillas, I added a cup of corn into a skillet with a touch of oil coating the bottom until the kernels gained a bit of color. Sliced green onion and a bit of chopped jalapeño were then added and pushed around the pan until that had just heated through. Scoop out into a bowl, I stirred soft, tangy goat cheese into the vegetable combo and let the residual heat smooth the cheese out. After divvying out the mixture between four tortillas, we spooned a little prepared salsa verde (basically just tomatillo salsa) over the filling and set the remaining tortillas on top to cover. You can finish these off two at a time if you have a fairly large skillet, but don't stress about it - you can bang then out in no time as they only take a minute or two per side to get the tortillas crisp and heated through. After cutting them into wedges, we served them with a bit more salsa verde for added zip. Allowing the kernels to brown first lets the corn caramelize and bring out its inherent sweetness, adding character and depth. While I'm crazy about goat cheese, if it is too much for you, you could cut it with cream cheese so you retain that creamy mouth feel and still get some of the cheese's distinct flavor. When eating chicken growing up (at least as far as I can remember), I always ended up going for the light meat and leaving the dark behind. I was completely sure I wouldn't like dark meat and that's what I continued eating until I was at least 25. A few years ago when I finally decided I needed to get over my extreme pickiness, I dove in head first and prepared a recipe that used only thighs... and guess what? I couldn't believe how wrong I had been and was sad thinking about the numerous missed opportunities I wasted! 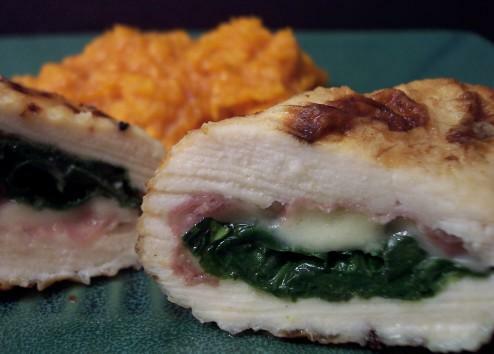 Thankfully, I've enjoyed many different dishes since then and always keep my eye out for recipes that use dark meat and look good, rather than tossing them aside just for the simple fact they didn't call for light meat. That was one of the reasons I choose this recipe for Chili Chicken Tacos to have as our dinner tonight. We tossed a couple pounds of boneless and skinless chicken thighs into our heavy enameled pot and started layering in the flavor by adding four thinly sliced garlic cloves, chipotle salsa, chopped chipotle chiles and a hefty pinch of chili powder. Once we poured in a couple cups of water, I set the lid on top and stashed the pot away in the oven to cook for a full two hours. Be sure to use a pot that has a tight-fitting lid to trap all that moisture inside. When the timer rang, I pulled the pot out from the oven and opened it to receive an outrageously fragrant steamed facial - yeah... I'll be sure not to get too close next time! I poked the chicken with a fork to find that it was so completely tender it practically shredded itself just from pulling it out! Since we added that water, you'll have plenty of well-seasoned liquid in the pot to moisten the shredded chicken - I did use quite a bit of it, but the chicken would only hold so much and I didn't want the mixture to be too wet. 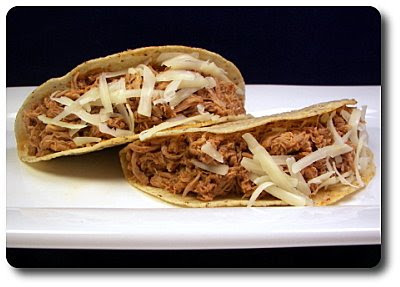 I'm sure you could use this juicy mixture in a variety of different ways, but we spooned the meat into warmed white corn taco shells and kept the toppings simple by just adding sharp white cheddar, sour cream and more salsa. If you have cilantro on hand or a couple fresh limes, either of those would be excellent additions! With the amount of chipotles we used, along with the salsa, we found this to have a fairly spicy bite, which was just about right for us. If you want to tame the heat down, use less of the chiles or even just toss in some of the adobo sauce instead so you still achieve that smoky depth. The original recipe called for cooking this in a slow cooker... but that is one piece of equipment I still don't own! So, if you'd like to skip heating up the oven for this, toss all of the ingredients, minus the 2 cups of water, into your slow cooker, cover and heat on high for four hours or low for six to eight. I guess the liquid from the salsa and the juices from the chicken is enough for the slow cooker, but not for the oven, which is why the method we used called for it. Saturday did in fact turn out to be a beautiful day with temps reaching 60 degrees, no wind and plenty of bright sunshine! 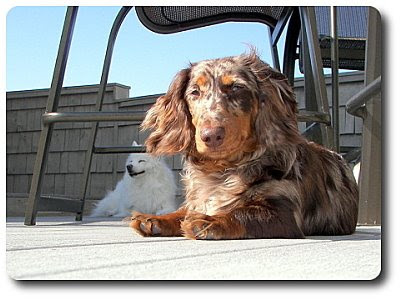 The pups had spring fever and decided they were going to spend the day outside on the deck... Gus loves his shine from the sun, but Max stayed back in the shadows since his fluffy coat keeps him pretty warm already! We pushed 9 new recipes out from the kitchen this week - looking back, our favorites were those Oatmeal Pancakes With Cider Sauce, the Currant Scones and we couldn't decide on the last one... it was a tie between that Stromboli from Friday night and those Savory Millet Cakes. 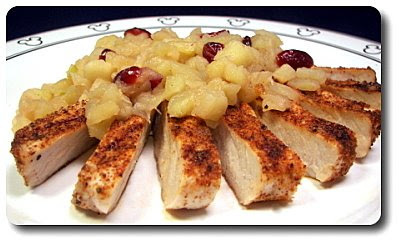 When we went to the market this morning, I needed to pick up a few extra apples so I could prepare this Spiced Pork Chops with Apple Chutney dish for dinner tonight. After peeling the tart Granny Smiths, we diced them fairly small and slipped them into a warm skillet laced with melted butter. After a few minutes, dried cranberries were stirred in, along with rich brown sugar, cider vinegar, potent fresh ginger, dry mustard and just a touch of allspice to highlight the sweet notes. As we left the chutney to simmer away, we gave lean boneless pork chops a rub down with a mixture composed of chipotle chile powder, garlic, ground coriander and, of course, the obligatory additions of salt and fresh ground black pepper. If you have a grill pan, or have the urge to heat up an outside grill, feel free to do either, but I used our trusty Griddler to cook these chops quickly. When we purchased that a few years ago, I wasn't sure we would get good use out of it, but we use it way more often that I ever thought! Jeff walked by a this point and noted how well the chops smelled, but turned his nose up at the chutney as the vinegar was fairly pungent and noticeable still. He wasn't too sure even after I took a spoonful of the chutney and asked him to just try it, but eventually he did and I smiled as I watched as his face light up. Sweet, a bit tart and very aromatic with the infusion of fresh ginger, the chutney, with those chewy cranberries, was a nice counterpoint to those savory and juicy chops. 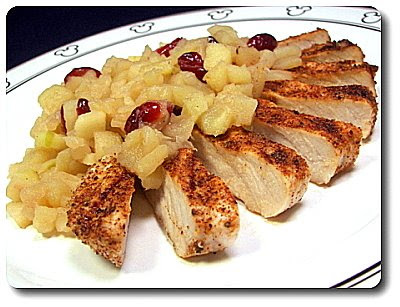 The apples were tender, yet not mushy - however, I will say that we did find the amount of chutney to be a bit excessive in comparison to the size of the pork chops. 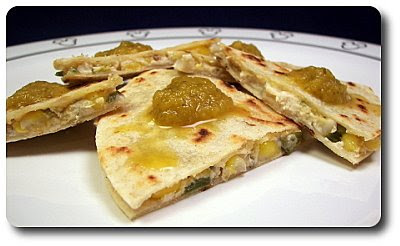 If I were to make this again, I might think about paring down the chutney recipe a tad. 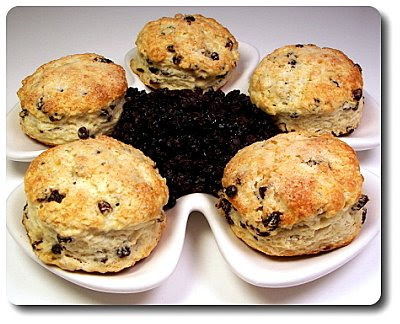 I got up a little earlier than normal this morning so I could get a batch of these Currant Scones into the oven for a treat at breakfast. The dough for these golden scones is not especially sweet with just 2 tablespoons of sugar for 12 scones being added - they don't need much as they get a boost from the tiny currants strewn throughout. Made somewhat like pie dough, the dry ingredients are whisked together, followed by the addition of cold chunks of butter that are broken down into the flour by using a pastry blender or if you have cold hands, your fingertips! You could do this in a food processor, but I had no interest in hauling it out this morning - the butter nuggets should be small, random sizes, ranging from a mixture that looks like coarse meal to some larger pieces about the size of a pea. We added the currants into the mix, then gently stirred in cold buttermilk and a beaten egg - stir it just enough that it looks like it is about to come together, then scoop it out onto a floured surface. This way you can control how much you end up working it - just press and lightly knead the mass a few times until it begins to hold together. Typically when we make scones, we'll pat out the dough and simply slice it into wedges. However, this time I took my round biscuit cutter to the dough and stamped out circles for variety. Watch where you plunge the cutter so you can try and get as many scones out during the first try - once done, press the scraps together once and then cut the remaining. Any more than that and you might end up with tough scones. 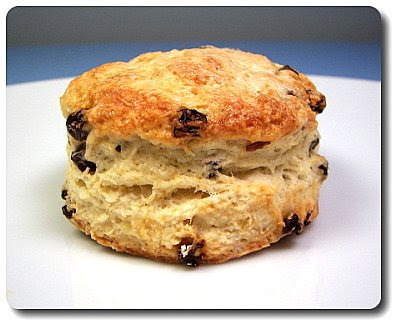 To get a glorious crackled and crunchy finish on top, brush each unbaked scone with milk and sprinkle with a touch of granulated sugar. They won't take long to bake, ours took less than 15 minutes, but do let them cool down a bit before you whip out your jam or butter to slather inside. 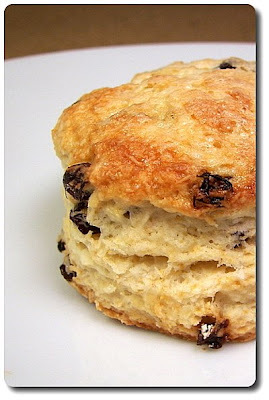 I had one about 15 minutes or so after they came out and once I sunk my teeth in, I was attracted to the simplicity of these scones and never even got a chance to add anything as I polished it off quickly! They are on the "plain" side, but with the mild tang from the buttermilk and those sweet currants, we thought that's what made these exceptional, making for a perfect vehicle to show off your best jam or softened butter (or if you do as I did right off the bat, appreciate them as is warm and naked!). 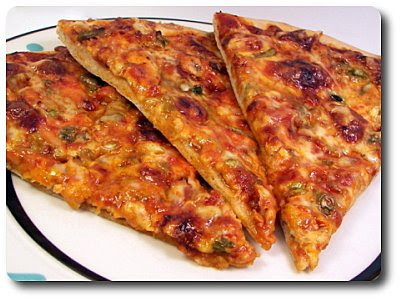 The weekend is here, we are suppose to have beautiful weather on Saturday and it is pizza night... life is good! Instead of one big round for tonight's pizza, I grabbed my trusty dough scraper and plunged it through the pound version of our favorite whole-wheat pizza dough to make four pieces about the same size. We needed that pliable dough quartered so I could start stretching each piece into an oval for the Broccoli, Salsa and Mozzarella Stromboli I had on the menu. If you find the dough resistant to get to the size required, set it aside, covered, and let it relax for a few minutes while you work on the next piece. The first layer on each oval was a liberal mound of fresh broccoli that I had steamed and chopped. If you'd rather skip that step, you could use frozen chopped broccoli, but let it thaw first and press out as much of the excess liquid that you can. Before moving on, you'll want to season well with salt and fresh ground black pepper at this point to pop the broccoli. Next we scattered on minced cloves of garlic, followed by a shower of shredded mozzarella, full-flavored chopped Genoa salami and a couple spoonfuls of spicy chipotle salsa. Your favorite marinara or pizza sauce would of course work here, but I went this route to lend a little zip. 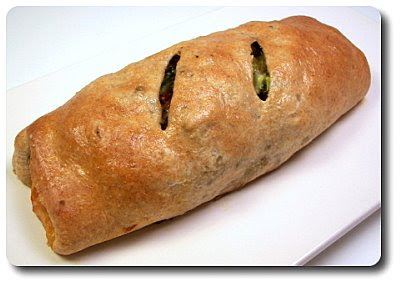 Unlike a calzone, these stromboli are simply rolled up, as you would a jelly roll, and just placed on the baking sheet seam-side down - don't even worry about sealing those edges... keep it rustic! A couple slits on top, followed by a rub of olive oil for a golden shine, you will need to allow a few extra minutes for these to bake than you would need for your average pizza. The salsa inside helps to keep the filling moist, but you may even want to serve extra salsa or sauce on the side if you or your guests would like for dipping. 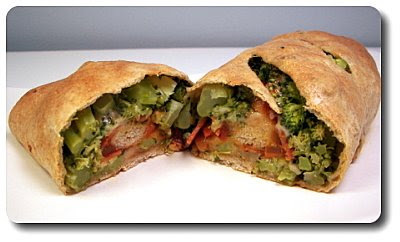 Even if you think there is not enough salami for each stromboli, try not to be tempted to add more. It can be fairly rich and assertive, so a little can go a long way - you still want to be able to taste the freshness of the broccoli and the mild mozzarella. There is one suggestion I have to add about the assembly process, which I've already reflected in the recipe. Instead of the salsa (or marinara) being added as the final filling ingredient, I would spoon it on directly over the broccoli instead, then add the cheese and salami. When you go to roll the dough up, it can get quite messy if you have to dig your finger into the salsa to tuck the ingredients in as you go! If I would have only thought about that before I assembled all of the filling on top of the doughs! Last week I needed to make a special dinner and had a hard time choosing the recipe I was going to make. After over thinking too much, I decided to keep the concept simple with a classy take on pasta and meatballs... however, I'll warn you now that there was quite a bit of work that went into making this Bucatini All'Amatriciana with Spicy Smoked Mozzarella Meatballs dish (and no, I didn't name it!). Before I got involved with any other parts, I got my hands dirty getting the stuffed meatballs together. Instead of tossing in the meat first, I waited to add that last and got the ingredients together that will flavor and bind them together to prevent over-working of the mixture. Jeff isn't the biggest fan of using raw onions in meatballs (textural issue), however grating them, rather than chopping them, takes care of that and still allows their sweet essence to flow through. Besides those onions, we also added chopped parsley, nutty Parmesan cheese, bread crumbs, a few cloves worth of minced garlic, ketchup and an egg. 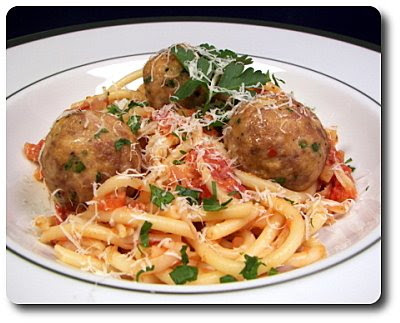 Besides salt and pepper, the meatballs were also seasoned with crushed red pepper, dried basil and dried oregano. Once that was completely combined, I added in the beef and turkey. Formed into balls (tablespoon scoops work great for this! 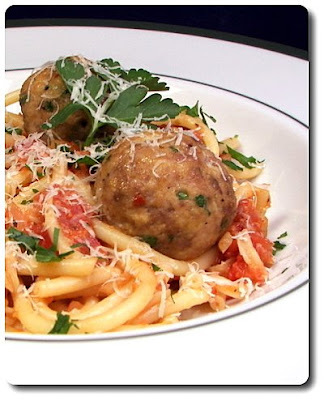 ), each meatball is given a divot to form a hole that we stuffed a cube of smoked mozzarella into. 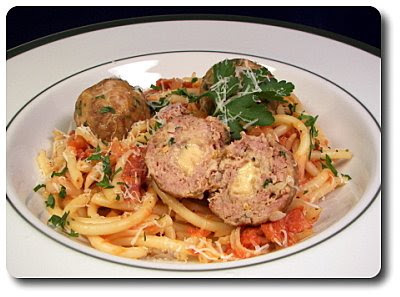 When you re-form the meatball, just be sure that none of the cheese is exposed so it doesn't leak while the they bake. While those were off in the oven, I had a big pot of water on the stove coming to a boil for the pasta and I began the sauce. Once I had crisped a generous amount of diced pancetta (basically bacon, but not smoky), I scooped out the golden pieces and tossed in a finely chopped onion to soften. Garlic and more of those spicy crushed red pepper flakes were added and a minute later, I stirred in fire-roasted crushed tomatoes and those crispy pancetta bits. Left to simmer, uncovered, the red sauce slowly bubbles away until it has thickened. To sharpen the sauce and turn it a lighter shade, a handful of Pecorino Romano is stirred in once it has come off the heat. The pasta used in this dish, bucatini, is long and thin like spaghetti (though a bit thicker), but what makes this different is the hole that lives in the center! I've never had a reason to buy this type before, but was pleasantly surprised when I was easily able to find it at the first market I looked in. What I particularly enjoyed was the fact the pasta was not drowned by the sauce - there was just enough of the heightened sauce to lightly coat the pasta with a spicy note. While light in the texture, the meatballs added a hefty, filling bite that had me captivated as soon as I hit that hidden pocket of smoky cheese. While we thought the meatballs were delicious with a mix of beef and turkey (I'll be making those again... cheesy meatball sub anyone? 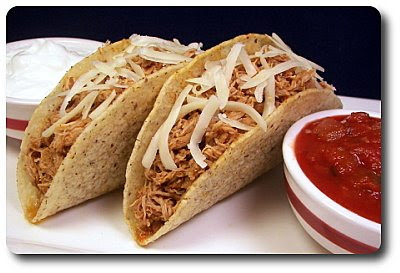 ), you could use all beef if you like or swap out the turkey for a more traditional meat like veal. For the Weekly Wednesday Treat Day, Jeff and I wanted to take the stressful edge off and hopefully put a smile on his co-workers faces by giving them a cupcake bar. 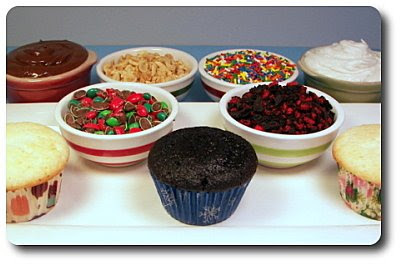 I have it set up now to give them a choice between two cupcakes, two frostings and a variety of fun toppings! I made two types of cupcakes today - the first I prepared was a batch of White Cupcakes and the second were these One-Bowl Chocolate Cupcakes. I wanted to get the White Cupcakes going first because they needed a fair amount of work to get them going. 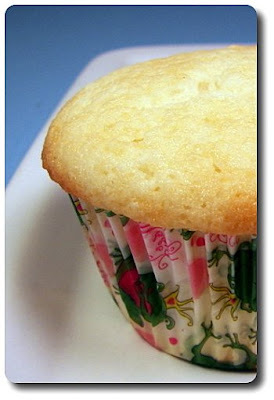 The White Cupcakes have a couple key features that ensure their success. 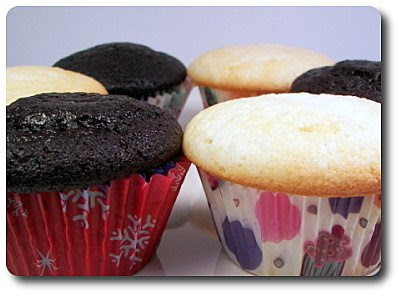 First is the use of cake flour - this has less protein and gluten than an all-purpose... which results in a cupcake that is light and fluffy with a fine crumb. They are mainly considered "white" because there are no egg yolks used - however, egg whites are still used. Rather than just tossing the whites into the mix as-is, they are first whipped to a stiff and glossy consistency. This adds to their lovely texture, but also makes for more dishes and work! Now, those chocolate cupcakes on the other hand, were a snap to prepare. As the title says, you only need to use a single bowl to make them! I did use my mixer because it was already out, but you could certainly haul out your trusty wooden spoon and go to town. The chocolate in these comes in the form of smooth Dutch-process cocoa powder, which gives them a striking dark appearance. The first thing I noticed was how different the batter was from the previous cupcake - instead of having a thick, fluffy texture, this batter is thinner and more fluid. I wasn't sure how it was going to work out at first because I like chocolate cupcakes to have melted chocolate mixed in, but when I gave the batter a quick taste, my concerns drifted away as I found myself scouring the drawer to find a clean spoon for another taste. While not quite as decadent using the cocoa powder, we both thought they were more than acceptable and chocolate-y enough. So now that we had two cupcakes, we needed some frosting to top them off. In the interest of choice, I prepared a Quick Vanilla Buttercream and Dark Chocolate Frosting that we'll put in their own bowls so they can choose their own icing, or even spread on both! The vanilla is just your basic butter, shortening and confectioners' sugar buttercream that is flavored with vanilla and smoothed out with milk. I needed something that could stand up to being made ahead of time and travel well, but also appeal to different tastes. This does land in the quite sweet department as frostings go, however I've also found it's what a lot of people prefer since it reminds them of birthday cake frosting. I do enjoy and sometimes prefer a Swiss or Italian meringue buttercream, but this type suited our need well. The chocolate cupcakes were not as rich as mentioned, but the chocolate frosting I made on the other hand, was in-your-face decadent. It was a little more involved with two forms of chocolate used, but it was definitely worth the time and effort needed. After melting half a pound of bittersweet chocolate, we needed it to cool down to room temperature before using it... which gave us plenty of time to stir together boiling water and a few tablespoons of Dutch-process cocoa powder to let it bloom and develop. When the ingredients were ready, butter was beaten with just a bit of confectioners' sugar - when smooth, the melted chocolate was mixed in first and allowed to swirl around the bowl until completely combined. 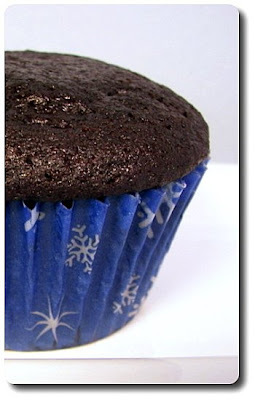 The cocoa mixture was then beaten in to finish off this shiny frosting with a luxurious feel. We could have stopped there, but why? Since they were going to be frosting the cupcakes themselves, we thought we would step it up and give them a choice of fun toppings too! 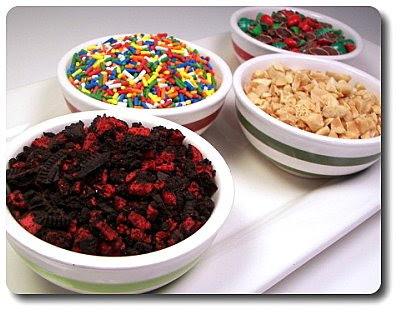 I'll be sending in bowls of rainbow sprinkles, chopped peanuts, chopped M&Ms and crushed Oreo cookies. One cupcake bar ready to go - I hope this brings giant smiles to the faces of his co-workers! I know we just had a breakfast-for-dinner post last week, but it was really sounding good when I was planning out the menu this week. 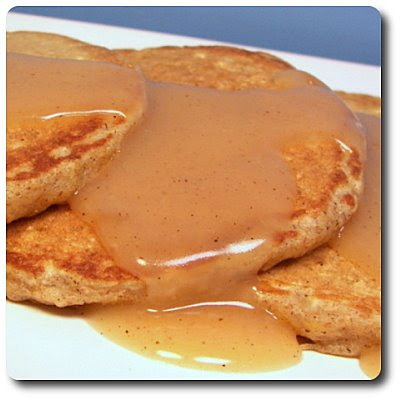 And to prepare this Oatmeal Pancakes With Cider Sauce dish, I had to dig deep into the freezer to thankfully find the leftover apple cider I had stashed away. The dry ingredients for these pancakes mean business - we used a combination of old-fashioned rolled oats that we blitzed in the food processor, buzzing them down until finely ground, and whole-wheat pastry flour. You could get away with regular whole-wheat flour, but I keep the pastry flour around for times like this - it doesn't weigh the final result down as much and isn't as assertive. For a little richness, a bit of dry milk powder is added in, along with a scoop of wheat germ to notch up the nutrition factor. 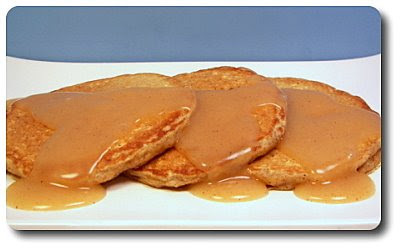 Because we are serving the pancakes with a sweet sauce, they won't need a ton of sugar in the batter either - we just used a piddly tablespoon of brown sugar. The original recipe didn't call for any spice, but I knew that wasn't going to fly with us. So, to give a little warmth to the pancakes, we whisked in cinnamon and just a bit of cardamom for an exotic edge. For that charming tang we love in pancakes, the majority of wet ingredients is made up of thick buttermilk. When you introduce the wet into the dry ingredients, stir them just until combined - it is fine if the batter is a little lumpy. I also let the batter rest for about 5 minutes or so before I began adding dollops of the batter onto our griddle to cook. If you won't be serving these pancakes right off the griddle, keep them in a low, warm oven until all of them are done. Rather than using maple syrup, which is undeniably acceptable if you'd rather go that route, we prepared a luscious sauce out of apple cider, brown sugar, lemon juice and potato starch to give thickness. Cornstarch would also be fine if you don't have potato starch! To tie in with the pancake, we also spiced this sauce with cinnamon, nutmeg and a pinch of cardamom. Delicious as is, it needed one more ingredient for a more rounded flavor and texture - this came in the form of a few pats of butter! This warm, aromatic sauce brought us right back to the memories of autumn - while sweet, it worked more to accentuate the delicate notes in the soft, golden pancakes without clouding their hearty nature. With another 9 new recipes accomplished this week, we choose that bright Lemon Pepper Shrimp Scampi, the Toffee-Banana Rum Bread and that hot Buffalo Chicken Pizza as our favorites. I don't know how many of you have tried millet before, especially since for the longest time even I only knew about it because it was used in bird seed, but within the last couple of years we have come to love that tiny golden grain. We've used it before to stuff peppers and also to use as a base for those Mediterranean Burgers. 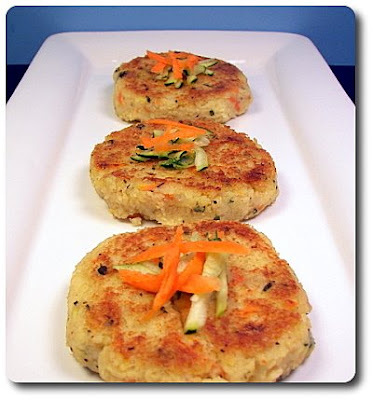 We pulled those small spheres, filled with protein and fiber, out of the pantry again tonight to prepare these Savory Millet Cakes. Before I jump into the recipe tidbits, I have to show you this. When I grabbed the carrots out from the refrigerator, look what we found! Twisted carrot love... funky! Once we softened a small amount of chopped onions, we stirred a couple cloves worth of minced garlic and a cupful of millet into the pot and waited until the pungent aroma from the garlic reached my nose. For the liquids added to cook the millet, you could of course just use water, but always looking for ways to add more layers, we used a combination of broth and water. Allowed to slowly bubble, covered to trap in the moisture, the millet begins to soft and you'll notice this mixture will begin to look much like polenta. It may look almost grainy when you remove the cover at first, but we're not done yet! We then stirred in salty Parmesan, freshly shredded carrot, zucchini, fresh thyme and just a teaspoon of lemon zest. After letting the millet continue to cook, stirring as you would polenta to keep it from sticking, the mixture quickly softens, absorbs any extra liquid and will become quite thick - almost enough that you could stand a spoon straight up in it! That's when you know it is ready to take off the heat. The next part is important - the mixture needs to rest, covered at first, then uncovered to allow it to cool down enough that you can handle it without it being very warm. As it cools, it will tighten even more, so as you dip your fingers in to shape the cakes, all you need to do is keep your digits dampened with water and it won't stick to you. I thought we may have to end up adding an additional binder like eggs or breadcrumbs, but it just didn't need it! After forming the first cake, it held its shape just fine and didn't fall apart when I moved it around. Even though they felt like they could be cooked right away, I have come to find that giving recipes like this a short rest in the refrigerator aids in the ease of their cooking process. To finish these off, we divided the cakes into two sets of 6 - because you want them to brown well, you won't want to stuff more than that in the skillet and risk cooling it down too much. 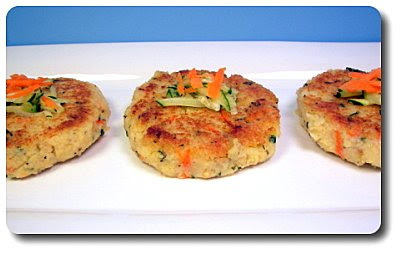 These were probably more intended to be served as a side of 2 cakes to a simple chicken or fish dinner, but we went ahead and chowed down on 3 cakes as a meatless main dish instead. Cracking through the browned crust, revealing the warm, creamy center of the cakes, had us feeling quite satisfied by the time our plates were empty. We also noted how well the sharp Parmesan played with the nuttiness of the millet, the shredded vegetables and the zing from the lemon zest! If you have a few hours to spare and are looking for a treat that is a lighter take on donuts, you might want to give this Baked Soufganiyot recipe a try as we did this morning! 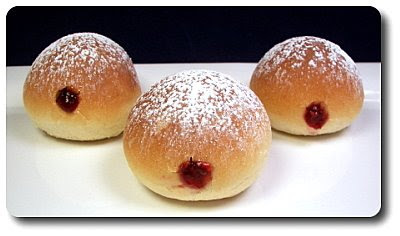 Soufganiyot are traditionally fried donuts that are filled with jelly or jam and doused with a shower of confectioners' sugar. This recipe takes that idea and runs it through the oven instead of a vat of boiling fat (woo - that rhymed!) to take out some of the naughtiness. Preparing these donuts is akin to making bread dough, though it is lighter on the butter and heavier on the sugar. Rather than using water as you might with other doughs, this recipe uses milk to keep the rolls tender and soft. From what I understand, Soufganiyot also often have citrus zest in the dough, so this recipe takes a cue and adds in a bit of zest from an orange. You could certainly use a stand mixer to knead the dough since the process starts out there to get it going, but over the years I've grown to love the feel of bread dough between by fingers and prefer to do that. When the dough was smooth and elastic, yet still tacky to the touch, we set it aside for its first rise. When the yeast and made the dough grow double in size, I punched it down and turned it out onto the counter, covered, to relax for 5 minutes after being disturbed. Divvying the dough out into 16 pieces, I rolled each of them into a ball and set them aside again to give the yeast time to feed and grow once more. See why I said "a few hours"?! Needless to say, I was up early this morning! Baked until the rolls were golden, we then let them cool completely before shoving the end of a wooden spoon through the side, making a pocket inside to hold a spoonful of jam. I only had bits of jam in the refrigerator, so I ended up stuffing some with strawberry, a few got raspberry and the rest were given a dose of blackberry jam. I used a pastry bag fitted with an open tip to speed the process along, but if you happen to have one of those condiment squeeze bottles handy, I'd use that so you have more control. 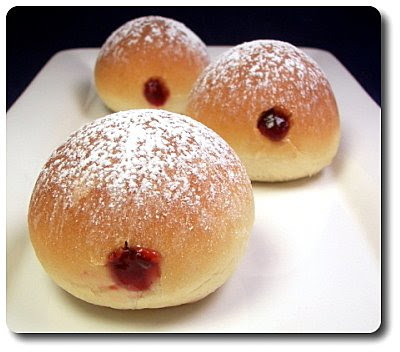 While I do think they were more like soft bread rolls, filled with sweet jam, rather than what one would call "donuts", we both agree it was still a tasty treat, especially for being on the lighter side! Between preparing the dough, two rising times, baking and then cooling, it is a fairly length process, but it was fun to do and it would be a perfect project if you have little helpers around! While not a new recipe, we went to a past favorite cookie to bake, wrap up and send off to Jeff's niece who is enjoying her first year in college. We've been doing this once a month for the past 6 months as a gift we gave her for graduation. We've been going over what we sent in the past, so let's get that out of the way. First we sent a batch of those Outrageous Oreo Brownies back in September... in October, those Chocolate Malted M&M Cookies went out to her... November's treat brought that Smaller Batch Penuche Fudge... December was that addicting Gingerbread Popcorn... we packaged up those decadent Butterfinger Crunch Blondies in January and of course, for Valentine's Day in February, we made those marshmallow fondant-topped Sugar Cookie hearts. This month? 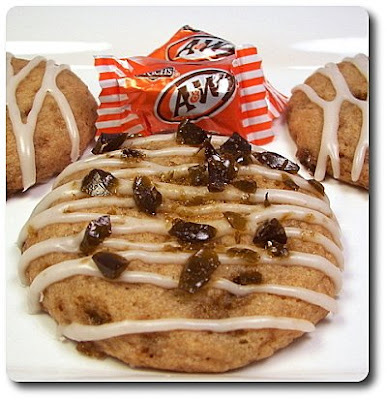 We decided on those unique Root Beer Float Cookies we made for the first time back in 2006. So good! I'll have to make it a point to make these more often as I forgot how much we liked them! Jeff had been hinting about wanting a spicy chicken pizza this week for the Friday Night Pizza. I actually had a different pizza planned, but his idea sounded good to me... so I moved the one I was going to make to next week and prepared this Buffalo Chicken Pizza instead! Before I started stretching out our favorite whole-wheat pizza dough tonight, I first took about twelve ounces of chicken breasts, seasoned them well and grilled the meat until done. Rather than asking for that in the recipe, I just call for about 9 ounces worth of cooked chicken breast... this way you can decide how you want it prepared. Poach the chicken if you like, cook them in a skillet if need be or make it really easy on yourself and pick up a roasted chicken from the market! When the chicken had cooled enough to thinly slice it, I melted a couple pats of butter and stirred in Worcestershire sauce and a few glugs from our favorite bottle of cayenne pepper sauce. Use your favorite hot sauce and the amount that is comfortable for you - we ended up adding about 2 1/2 tablespoons so it gave the dish a bite that wasn't too voracious, but still had teeth to it. The sliced chicken was tossed in and coated with the sauce before pouring the saucy concoction all over the top of the crust. Giving the pizza a coat of Monterey Jack on top was on tap next, but that isn't the only cheese we were planning on using. When you think of buffalo chicken, one might also think of blue cheese... but rather than bringing it in with another sauce, the pizza is just topped off with a few crumbles on top for that pungent bang. Baked until the cheeses were bubbling like a volcano and the crust had taken on a golden hue, Jeff couldn't contain himself and took a bite almost right after it came out of the oven! A burned tongue later from the molten toppings, he did say it was worth the pain as this pizza was just what he was looking for! I did quite enjoy the marriage of the more mild Jack and the strong, but not overwhelming, crumbles of blue cheese, along with the piquant toppings underneath. The only thing I might do differently next time is give the crust a 3 to 5 minute head start - it was completely cooked, but since it was pretty heavily topped with moist ingredients, I thought it could have used a few minutes more.